It rained all day, yesterday. Short periods of rain in the morning, but by mid-day, it was a continuous downpour. 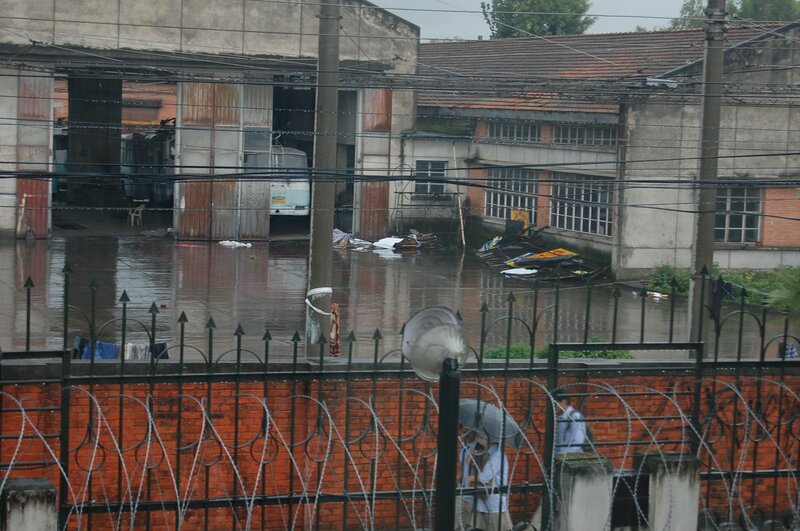 It didn’t rain as hard as during the monsoon season, but there were still flooding in parts of the town. People were wading in ankle-deep water on the sidewalks, the streets, and if it wasn’t high enough, the first floor of the stores. And of course, traffic. Took an hour to get home, wading through the traffic, the motorcycles, the floods, the people.